Sometimes, one of the more challenging aspects of hosting visiting artists is deciding what to feed them while here from out of town. Many artists come from different places around the country (sometimes the world) and have specific dietary restrictions or requests. 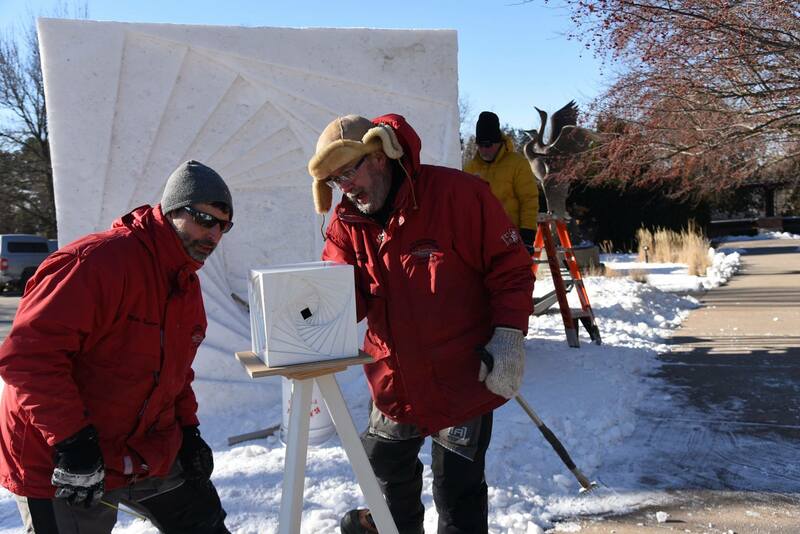 It’s a different animal when we host the Team USA Snows Sculptors, Tom Queoff, Mike Martino, and Mike Sponholtz, for their annual Woodson Art Museum snow sculpture in January. Although coworkers and friends have described me as “lanky,” “gangly,” and a “human coat rack,” I love all types of high calorie, extra gluten, extra cheesy, extra crispy, deep fried marvels. Of course, the guys don’t want “calories” because they are gluttonous like I can be. They need calories to sustain themselves during hours of working in single-digit temperatures. Regardless of their need for these foods, I’m more than happy to oblige. I’ve actually been on a lucky streak lately. 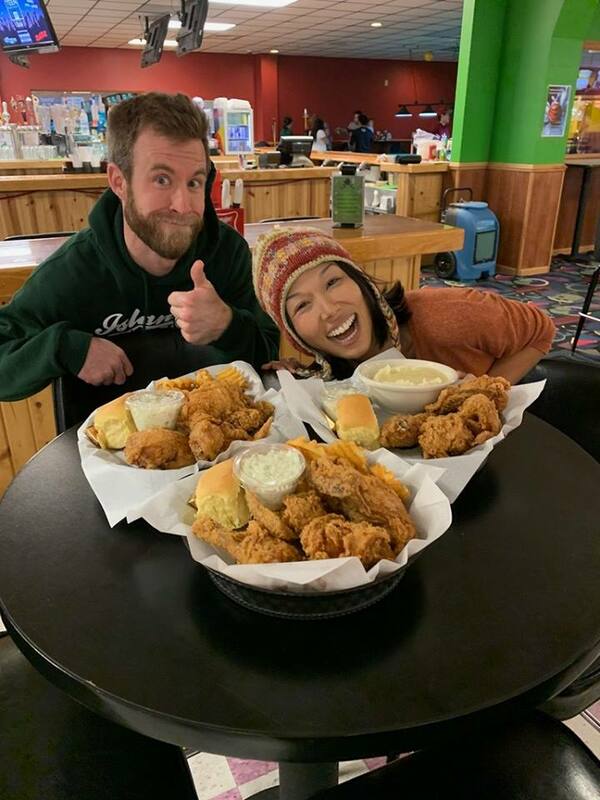 When scientific illustrator Jane Kim and woodcarver Josh Guge were in residence at the same time last November, they really wanted fried chicken at a local bowling alley. Be still, my heart. The only thing that could possibly top these recent experiences is if the Museum hosted Fred Flintstone for a stone-carving residency and I ordered up that huge rack of ribs which tipped over the Flintstones’ car. Of course, there has to be a balance in life. With the accumulation of calories, you also have to burn them off. Fortunately for me, the Museum’s galleries and grounds provide ample opportunity to burn off the excess of a weekend with carnivorous artists. If you need to burn off some calories too, check out the 2019 snow sculpture and Victor Vasarely: Op Art Master, which remains on view at the Woodson through Sunday, February 24. It’s the perfect place to stop after lunch.